﻿ Hotel Bareve, Jeju Island | FROM $43 - SAVE ON AGODA! "The hotel was very clean and comfortable." Have a question for Hotel Bareve? 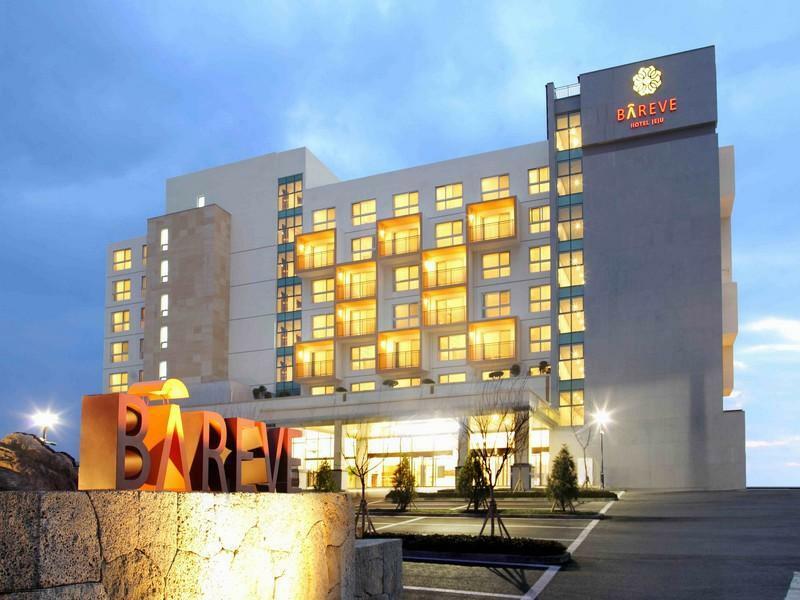 Offering quality accommodations in the restaurants, sightseeing, beaches district of Jeju Island, Hotel Bareve is a popular pick for both business and leisure travelers. The hotel is not too far from the city center: just away, and it normally takes about minutes to reach the airport. With its convenient location, the hotel offers easy access to the city's must-see destinations. At Hotel Bareve, the excellent service and superior facilities make for an unforgettable stay. The hotel provides free Wi-Fi in all rooms, 24-hour front desk, facilities for disabled guests, express check-in/check-out, luggage storage to ensure our guests the greatest comfort. Experience high quality room facilities during your stay here. Some rooms include television LCD/plasma screen, internet access – wireless (complimentary), non smoking rooms, air conditioning, heating, provided to help guests recharge after a long day. The hotel offers fantastic facilities, including fitness center, sauna, indoor pool, spa, massage, to help you unwind after an action-packed day in the city. 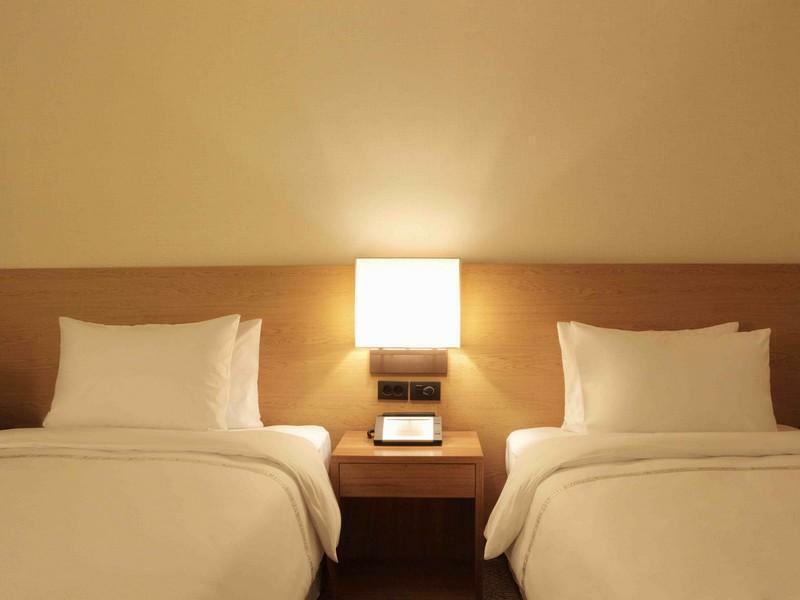 Hotel Bareve is a smart choice for travelers to Jeju Island, offering a relaxed and hassle-free stay every time. The young woman at the checkout counter was extremely helpful in helping me with my daily plans for hiking the Olle trails as well as climbing the trail to Hallasan. The hotel was very clean and comfortable. The spa was not huge but quite clean and adequate. The location is not very exciting but it was actually nice to be away from the busy areas. Buses are very close and there are some quite good restaurants in the area. The hotel is in a good condition with spacious guestroom and very nice seaview from the guestroom. The location is quite convenient if you drive to visit Southern coast of Jeju. Carpark spaces are in general sufficient and easy to park for tourist drivers. There also are some good local restaurants for lunch and late supper in walking distance within the small town where the hotel situated. The only problem is that the shampoo, bathing gel were not replenished everyday. And there is no toothbrush and toothpaste, though there is a small supermarket next to the hotel. Good location, easy to find, room is clean. Nice staff, they are helpful. But no pantry in the room. The hotel is excellent to stay, new, very clean, hight tech, although unfortunately located in a very quite residential area, without bars or restaurants, far away from everything. However, next to the hotel is a good bakery with perfect baguette bread. A little further is also an E-Mart with a small food court. The only bad thing are the damn slamming doors of each room, which can keep you awake for a while or wake you up earlier. The hotel also doesn't provide airport pick-up (1 hour plus travel! ), so you're a bit on your own. Although the Airport Limousine service is a frequent and very cheap service, but you need to walk 15 min. with your luggage from bus drop-off to the hotel. The hotel has a beautiful restaurant with a quite good breakfast, but dinner "a la carte" is very much limited (3 items only). To participate in organized bus tours, the hotel is also not part of the pick-up points even though mentioned on the folders(you need to do a 15 min taxi drive first). 서비스를 향상시키기 위해 직원들이 많이 노력중이지만.. 뭔가 부족함... 깔끔하지만 전문적이지 못한 호텔 느낌.. 앞으로 나아지겠지요. 가격 대비 전체적으로 우수한 편입니다. 위치도 중문과 인접하고 관광지도 주변에 많은점이 장점입니다. 신규 호텔로 시설이 깨끗하여 휴식을 취하기에 좋음. 특급호텔의 서비스는 없지만, 호텔에서 거의 잠만 자는 경우에는 매우 합리적인 호텔임. 어메니티는 모텔수준이므로 개인 물품이 필요함. 방음시설이 잘 되어있지 않아서 이른 아침 아기 울음 소리가 많이 들렸음. 시설은 훌륭하였습니다만 청소상태가 좋지 못하였습니다. 샤워실과 변기옆 욕실 타일이 더러웠는데 충분히 씻기는 무언가임에도 불구하고 이틀 연속 청소되지 않았다. 배게 하나가 바닥에 떨어져있었다. 생긴지 얼마되지 않았다는데 청소문제만 신경을 써주었으면 좋겠다. 앞에 이마트가 있고 가고자했던 식당 및 시장과도 가까워서 위치상으로는 좋았다.